4 images. 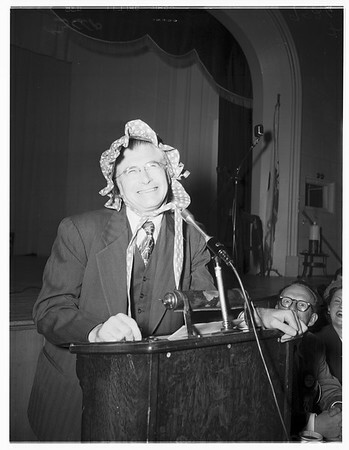 J Whitcomb Brougher (Pastor of Baptist Church) speaking at Breakfast Club, 2 April 1952. William J. Coughlin.